With Egypt on fire for the better of the past 17 days, and it’s dictator Husni Mubarak still in power, the Egyptian people have gone through the unimaginable. Some of which has made its way to YouTube. Viewer Discretion Is Advised. Ever since the Internet was restored in Egypt videos of the Egyptian regime’s atrocities have made their way to social and mainstream media by users uploading the content to YouTube. Be advised, the following videos contain scenes of extreme violence. 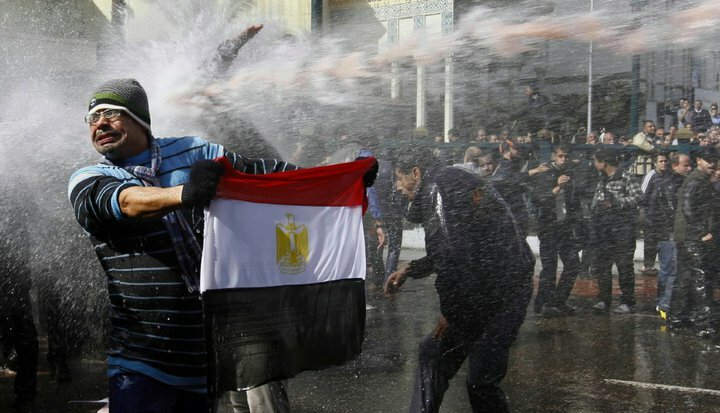 Three videos stand out among the plethora of uploaded content from Egyptian protesters. Shot with a cell phone by one of the crowd in Tahrir Square – Cairo this video received more than half a million views Protesters in Tahrir Square break into Song depict protesters singing to a Chorus: “Irhal” (meaning Leave referring to President Husni Mubarak). Also shot with a cell phone and viewed by more than 1.8 million, the video titled The diplomatic car that ran over 20 people in cairo (28th-Jan-2011) shows what appears to be a driver panicking in the middle of a large mob, running over a number of them while the casualties remain unknown. Shot by a girl overseeing the horrific incident, an Egyptian in Alexandria, Egypt defies the state enforced curfew, as he displays unseen courage showing security forces he is unarmed, is killed in cold blood for no obvious reason in broad daylight. Egypt Police Murder Innocent Man In Alexandria.